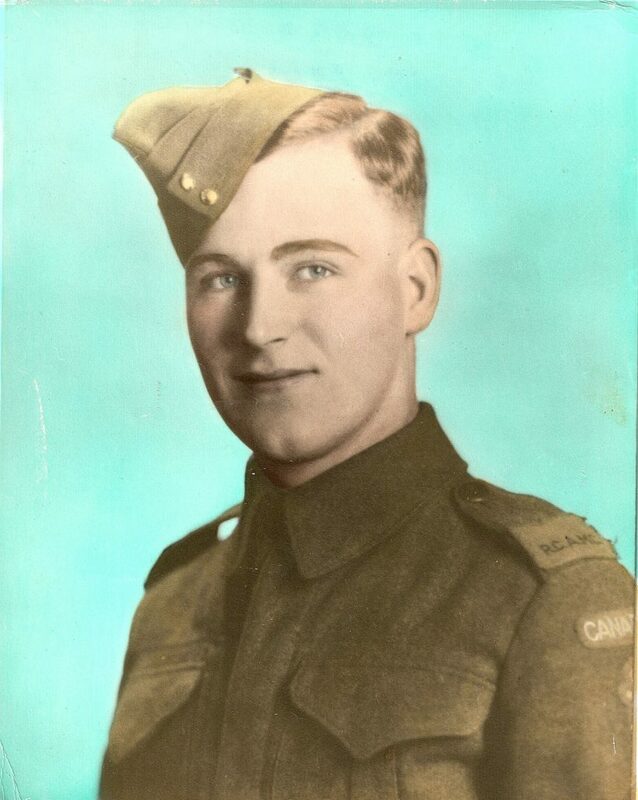 Mel Barr, Royal Canadian Army Medical Corps (RCAMC) joined the Royal Canadian Army in October of 1941 and served as a medic with the 17th Light field Ambulance. While training in England he experienced the “London Blitz”. 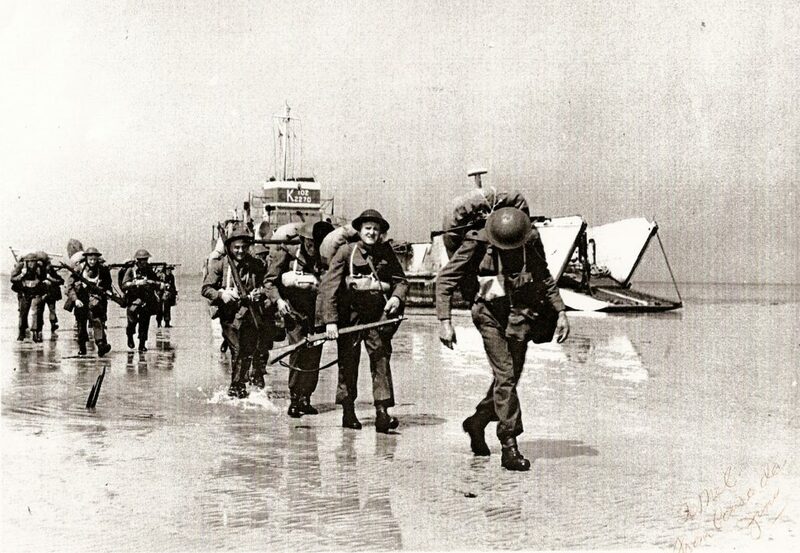 After landing in Normandy on D-Day plus 13, he saw much carnage still on the Normandy beaches. His group were attacked by the Luftwaffe the first night in Normandy. As they did not have time to dig slit trenches, the first night was spent under their RCAMC truck. He experienced being strafed by German fighters while operating their ambulance in Holland,and experienced many of the horrors of war as a front line medic while the fighting went on through France,Belgium,Holland. Mel’s unit was located in Leopold, Germany when the end of the war was announced. Mel retired in Leduc, Alberta. You’d be back there and you’d see who didn’t make it because they (medics) had no choice…they just piled them outside the door.